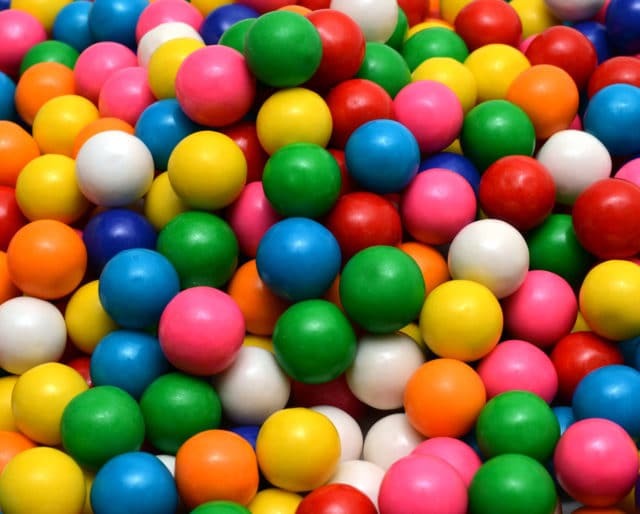 Children’s book author Ruth Spiro came up with the idea of National Bubble Gum Day as a way for kids to raise money for school activities without having to sell anything. On February 1, kids can “buy” the usually forbidden privilege of chewing gum in class if they make a donation of 50 cents. While there might be some distractions in class — like smacking and bubble-blowing — kids learn about the value of charity and schools make a little money for the causes they support. Oh, and kids also get one day to break the classic “no-gum” rule. American Chad Fell set the Guinness Book of World Records mark for biggest bubble gum bubble, which measured in at a diameter of 20 inches. His secret to success was using three pieces of Dubble Bubble. Walter Diemer, an employee of the Fleer Corporation, created the first marketable version of bubble gum, eventually branded Dubble Bubble. He used a pink dye because that's all that was available. Frank Fleer invented the first bubble gum but it turned out to be too sticky. The short-lived chew was called Blibber Blubber. You may not keep bubble gum around the house, but on this day make sure your kids are supplied with a few pieces when they head to school. You might even try out a few different flavors. Taste tests show the most popular flavor among kids is strawberry. Learn more about the causes receiving those two quarters from your child. Maybe that 50 cents can lead to volunteer opportunities or other ways to raise money, such as a lemonade stand or car wash. Giving is a good feeling. If you're a schoolteacher or administrator, recess or lunch time might be perfect for staging a bubble- blowing contest. Give away prizes for the biggest bubble (some real balloons, perhaps) as a way of making the day more memorable for students. The original, introduced in 1928. This was created to mimic the chewing tobacco often used by baseball players. Introduced in 1975, Bubble Yum was the first soft bubble gum on the shelves. Hubba Bubba comes in a roll similar to a tape measure or scotch tape. Each roll is six feet long. The iconic gum, introduced in 1947, features a wrapper with a "Bazooka Joe" comic. It's not just the sweet taste — though sugar-free gum is recommended by dentists — that makes kids love to chew bubble gum, it's also the bubbles of course. For that matter, bubble gum also lets adults feel like kids when they pop a piece into their mouths and start blowing away. Bubble Gum Day teaches kids the value of charity and of giving to a worthy cause. By requiring a 50 cent donation for the right to chew gum on February 1, kids understand they're part of a day that is doing some good in the world. By allowing kids to chew gum on one school day a year, it reminds them that they can't on all the other days. For those forgetful kids who might have a tendency to walk in the classroom door with gum in their mouths, memories of Bubble Gum Day just might cause them to deposit that gum in the trash where it belongs.